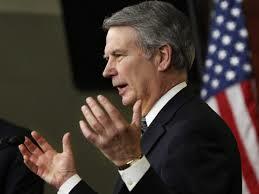 I’ve been on a roller coaster ride over the years with Walter Jones. In the early 90s, while in DC, a fellow North Carolinian started telling me about this rebellious conservative Democrat in the North Carolina House. “He’s one to keep your eye on,” my friend told me. Walter B. Jones, Jr. left us today — his 76th birthday — for that grand journey through the pearly gates. For the last year or so, he had been bothered by minor ailments that seemed, at least to his doctors, as typical for a man getting older. After defeating two opponents in the May 2018 primary, things really started going down-hill with the health. It wasn’t until the end of 2018 that the Jones family and close friends began to realize things were much more serious. Political opponents were quick to pounce. Many had the nerve to suggest Jones hid the seriousness of his illness from the voters so he could get back to Washington. Walter Jones was a man who would choose going home to Farmville to grocery-shop, go to church, and mow his lawn over a weekend of Washington cocktail parties in a heartbeat. To suggest he had some love of DC that overruled his love and sense of loyalty for his home state, his hometown and his district is ludicrous — to say the least. I met Jones ONCE — as a young political reporter covering his 1996 campaign for reelection to Congress. Granted, I had met a lot of politicians by that time. But there was something almost surreal — something very genuine — about this guy. I had him pegged as someone who could quite possibly bring a breath of fresh air to DC and give all of us frustrated little people outside the beltway at least a little bit of hope. Walter Jones reminded me a lot of my former boss in DC — the late senator Jesse Helms. Both men were old-school, down-to-earth, down-home people. Both men had independent streaks that would drive their caucus leaders CRAAAAAAAAAZY. Neither of them sat around waiting with baited breath for instructions from the speaker or whip’s office. Neither man could be “managed.” Both of them would speak their minds before the public and the driveby media at a frequency that would drive consultants and staffers loony. Jones’s statements about Trump and Mueller, and Renee Ellmers and Kevin McCarthy are two instances that come to mind. Neither man was a finger-to-the-wind kind of guy — the type you see all over Washington and Raleigh these days. Jones and Helms were both men of principle. The wishes of the party and its operatives were a distant, distant, distant second (or third). My patience with Jones got tested over his stands on military action overseas. As the son of a career military officer, I’ve always been a firm believer in passionately debating the policy or decision first. But after the decision is made, and our folks are in the field and in harm’s way, our job is to cheer for the home team to accomplish their mission and come home victorious and safe. I now understand Jones’s reasons — his argument — for rethinking his position on overseas military action. They were based more on his religious faith and his connection with the families of fallen soldiers than on some alleged lack of patriotism. I disagree with how he expressed it all. But I respect him for expressing his sentiments. 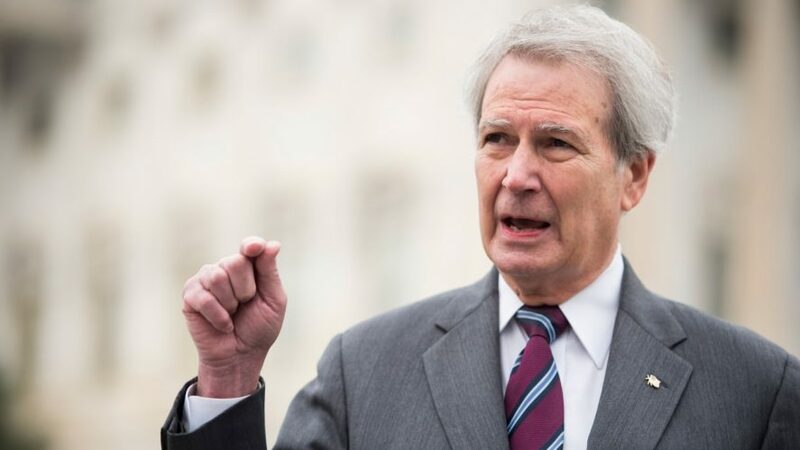 The Walter Jones era in Washington leaves us with some valuable lessons about holding firm to your principles, staying true to who you are, and keeping the folks back home who keep sending you to DC at the forefront of your mind in everything you do. Rest in peace, Mr. Jones. I”m sure you and your father have a lot of catching up to do behind those pearly gates. ← #ncga: Tim Moore, innocent victim. Yes, the Jones Family, District 3, the state and nation have all lost an “old school” servant leader, one who voted his conscience regardless of the consequences. Congressman Jones was a unique person which is the reason so many supported him, He will be missed, having set the bar high for his successor. 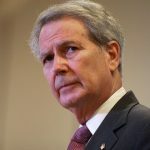 Anyone who had the privilege of knowing Walter Jones could not help but feel profoundly saddened by his recent decline and passing. Like Helms, he was a man of principle — and whether one agreed with his politics, or not, he was worthy of admiration on so many levels. He was authentic and genuine — and he conducted himself in such a manner as to engender the most affectionate feelings towards him. He will be hugely missed. We are left now to mourn his passing, but to also long remember, in the warmest and most admiring possible of ways, the man he was — and the great magnitude that the gift that his life was to us all. Requiescat in Pace faithful servant Walter Jones. 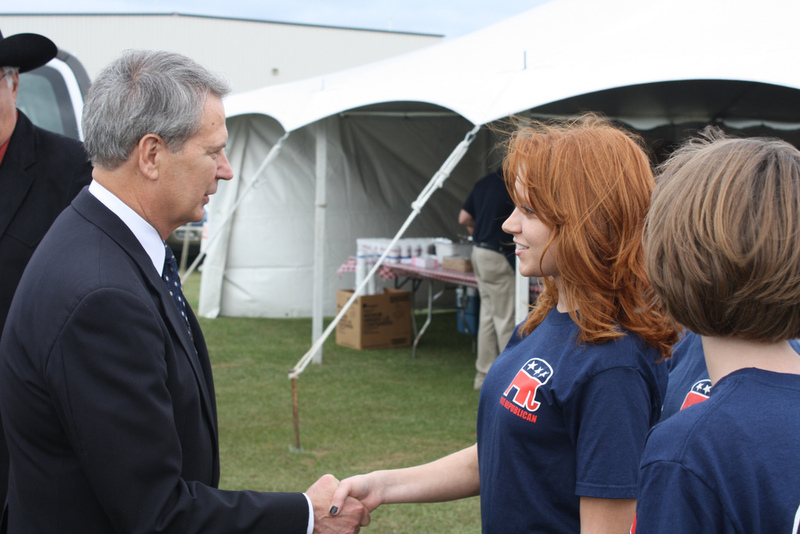 Walter Jones has been a trooper, a committed vote for conservative principles, and we will miss him. It was impressive when he stood up to Boehner and Ryan and voted against their sellout deals with Obama. I hope we can get a worthy successor, but several of those angling for the seat are not fit to shine Walter’s shoes. God rest his soul. 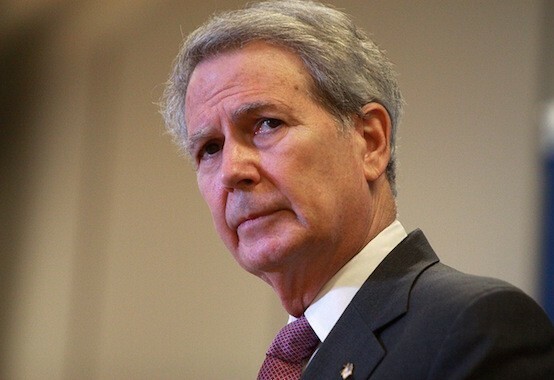 Of all of our representatives in Congress from North Carolina Walter B Jones tried the hardest to vote the way his constituents wanted. He made some mistakes and took a lot of flack. As a former Eastern North Carolinian, Congressman Jones will be sorely missed. He not only had his own constituents but had many requests from those of us unfortunate to live in the “ other” district. Sure hope there is another conservative in the area. Maybe we will luck out, but looking at the direction of the GOP in recent years it seems highly unlikely that a real conservative will be found. Rest In Peace, sir. My stepfather, Bump Humphrey, was the Post Master in Farmville, NC. He was a long time friend of Walter, Sr., and watched Walter, Jr. grow up. Bump was my dad’s first cousin, and married my mom 12 years after my dad died. He and my mom loved Rep. Jones and always supported him. Rep. Jones was a true Christian Southern Gentleman and dedicated public servant whom our family held in high esteem. The few times I got to talk to him, he was very kind and always asked about Bump and my mom. He was an independent thinker in the government, as was Sen. Helms, and he was always thinking of what was best for his people, his State and these United States, not special interests or the whims of leadership, also like Sen. Helms. I seek to follow that example of these men I so greatly admired and we will certainly miss Rep. Jones.